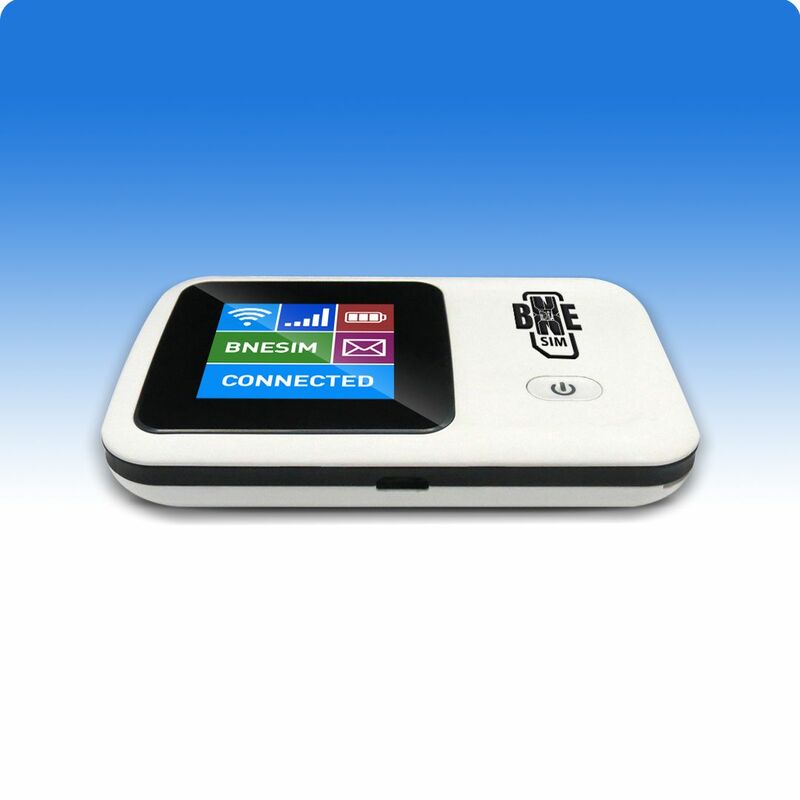 Stop searching desperately for public insecure Wi-Fi. 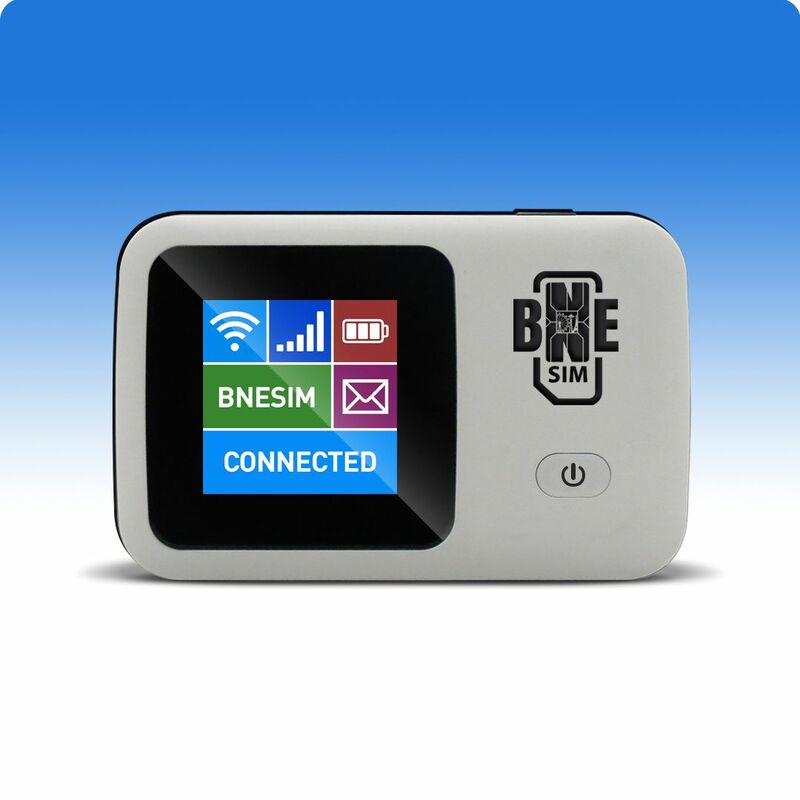 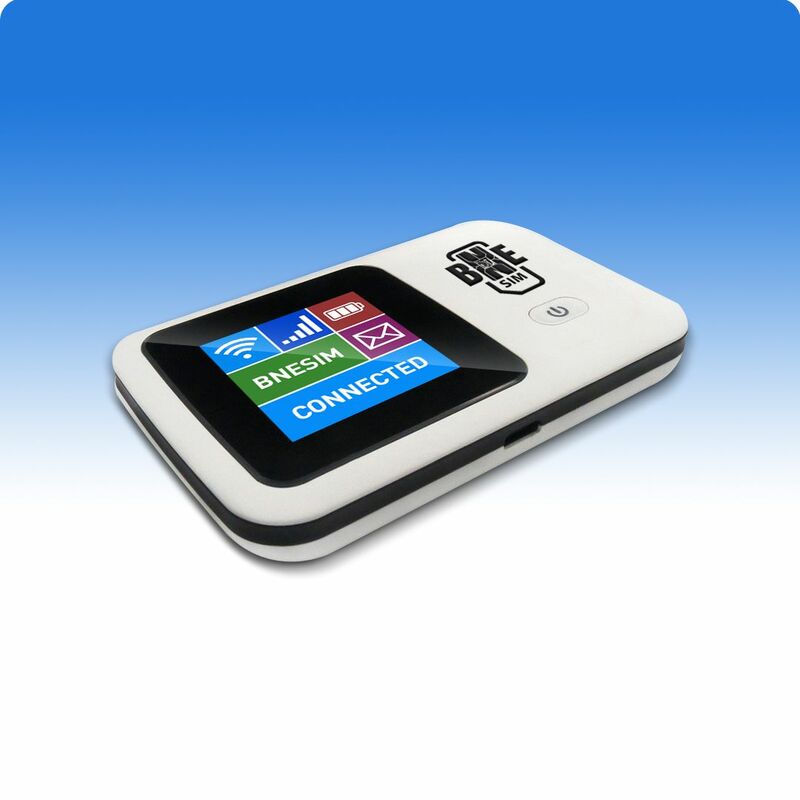 Get easy Wi-Fi on the go with BNESIM global Wi-Fi hotspot. 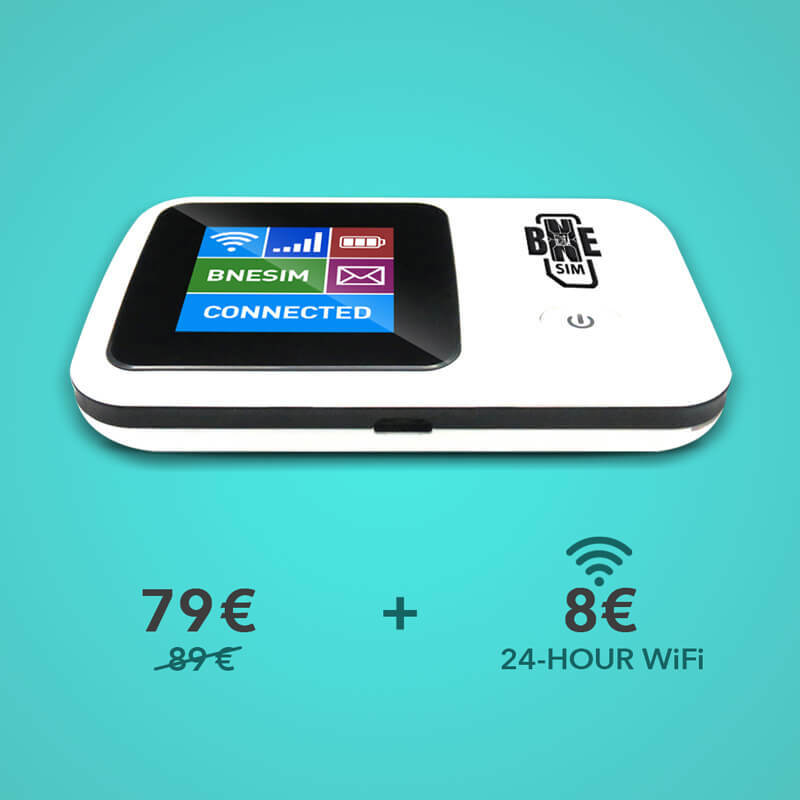 BNESIM global Wi-Fi hotspot comes with unlimited data in the 88 Internet Home Countries, and it’s perfect for travelers: it’s unlocked, it works anywhere in the world, and you can use it with any SIM card. 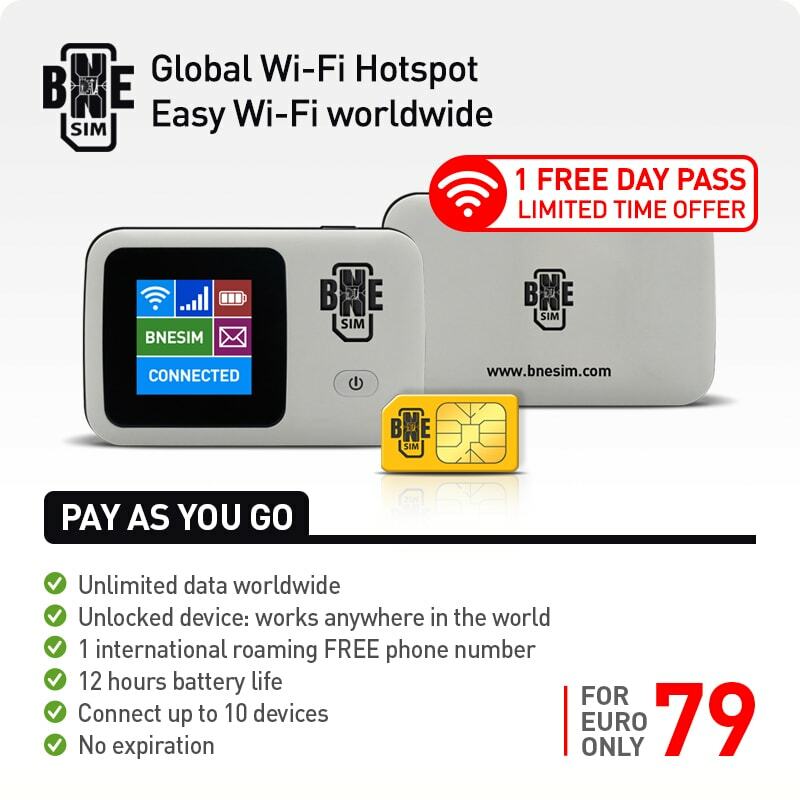 Save up to 95% on international data roaming and the travel the world with super fast, unlimited, secure Internet at one flat rate. 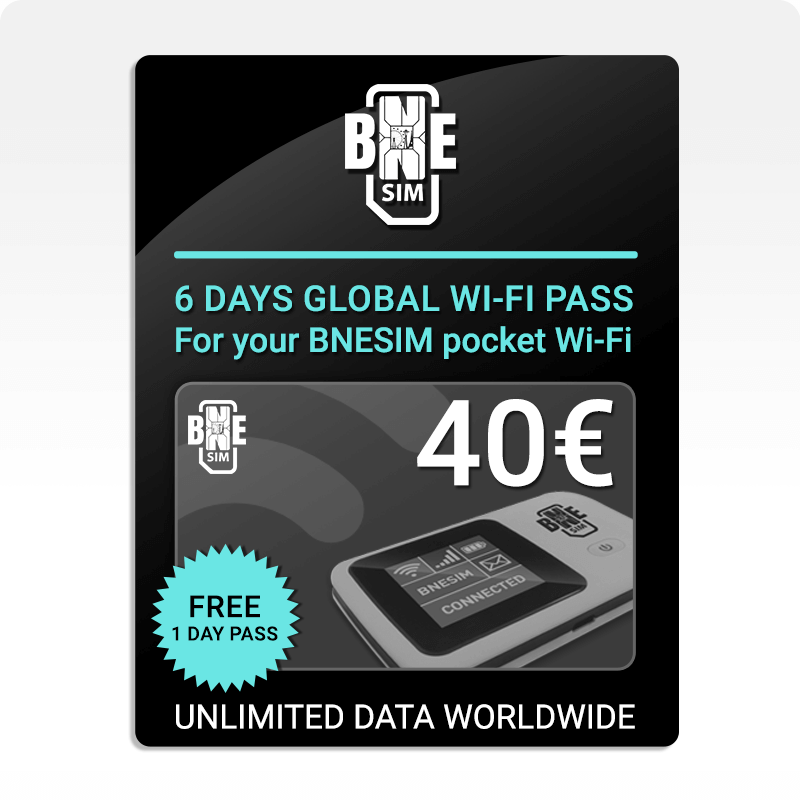 Load your BNESIM global Wi-Fi hotspot with a 6 days pass. 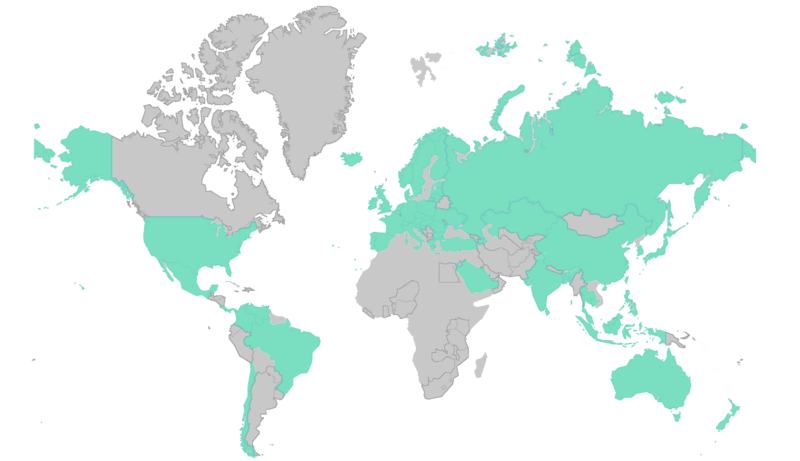 Each day pass provides 24-hours of unlimited Internet access in the 88 Internet Home Countries. 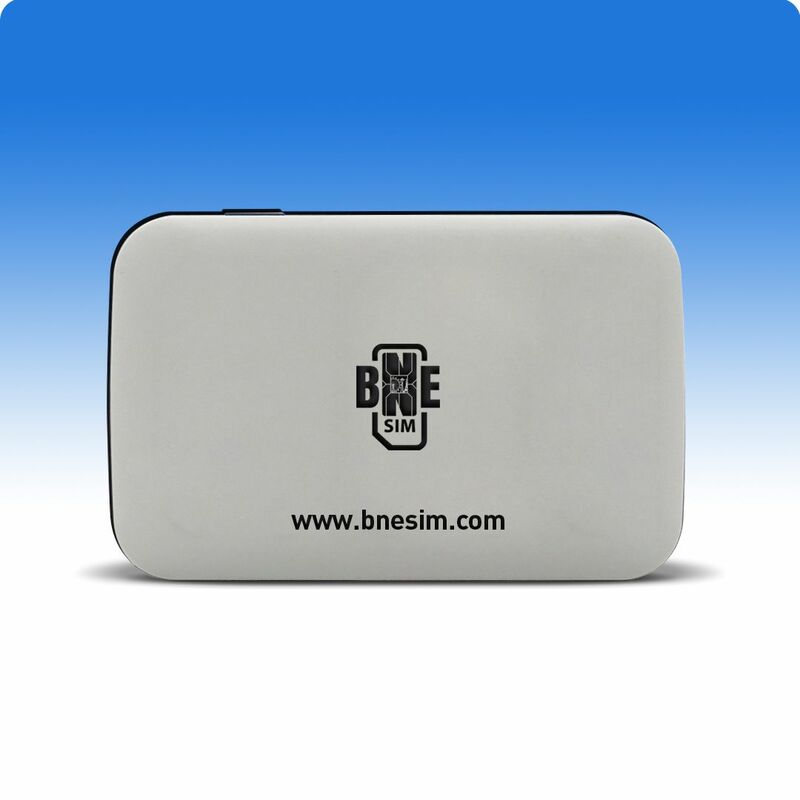 You can buy more day passes anytime from your selfcare area.